It has been a busy spring here at Lloyd Construction. We were sponsors and attended the Reid Park Zoo, Wine Gone Wild event on April 1st. This proceeds from this wonderful event go to fund a new, state-of-the-art Health Center for the Zoo’s Animals. If you want to contribute to this worthy cause, please contact the Reid Park Zoo directly. More information about this and other worthy zoo projects can be found here. We were sponsors and attended the Hearts & Horses Gala on April 9th. This wonderful event is to raise money for TROT Arizona an organization that offers Therapeutic Riding Programs. Learn more about what they do. We were exhibitors at the 2016 Blue Book – Who’s Who Network Showcase on April 13th. Thank you for everyone who stopped by our booth! We were sponsors and attended the Arizona Builders Alliance Installation Dinner on April 15th. We were exhibitors at the 2016 ACT Constrcution Trade Show on April 20th. Again, thanks to everyone who stopped by! We were sponsors, speakers and attendees at the Metropolitan Pima Alliance Wild Ride event on April 20th. 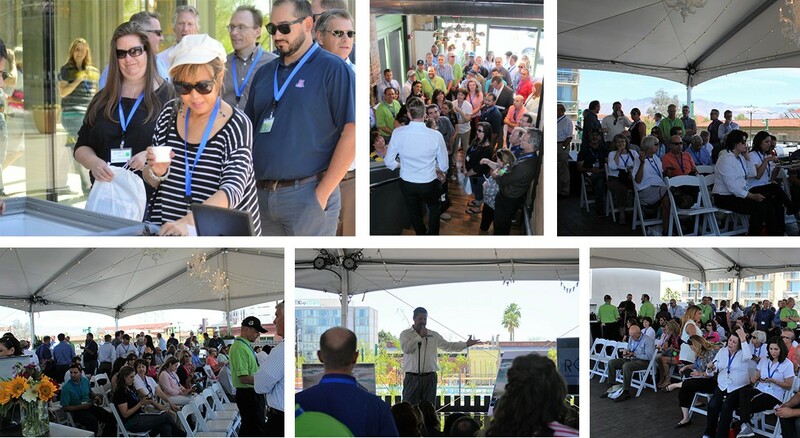 This event was attended by over 275 people and focused on the economic development in downtown Tucson. Participants visited 11 venues and heard from 17 speakers, including our very own, Brad Lloyd. AC Marriott Tucson Hotel – Check out the time lapse video! McClelland Hall Expansion – View the University of Arizona’s live project camera! It has been an action packed month and we have thoroughly enjoyed our participation with each of these events and we are always grateful for the work we get to do. Below are some pictures of the recent MPA Wild Ride event. Previous articleTruly Nolen Leadership Center Ribbon Cutting CeremonyNext article Special Thanks to All Who Helped Us Support the Centurions of Southern Arizona Charitable Foundation!